October 20, 2016 — There are residents of Salem, there are visitors to Salem, and then there’s me. After about nine years of visiting the place every autumn, I lived there, right downtown, from October 1 to October 31, 2015. I learned a lot about the city in that time, obviously enough to fill a book. But A Season with the Witch isn’t the first time I’ve written about Salem. 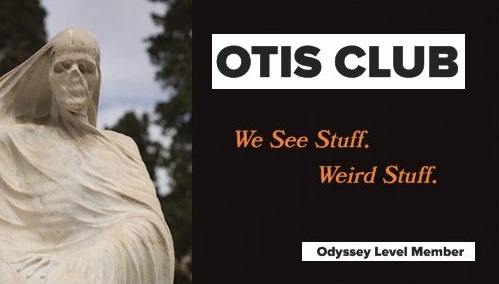 In fact, I’ve written about it a lot on OTIS over the years. That’s going to happen when you write about oddity while living close to one of the oddest cities on the planet. And, now, in the knowledge that 31 days of immersion coupled with interviews and conversations with scores of residents, it’s funny to look back on some of the things I wrote before I really got to know the place. Come laugh at past me with me. House of the Seven Gables (February 27, 2008): When I posted about this Salem oddity, I hadn’t even written about the city as a whole yet. This was back in the early days of OTIS when I was scrounging for content to fill the site, so much so that I wrote about Seven Gables without even touring it. I just stood outside. And while I’ve written about oddities that I’ve just stood outside of plenty of times, it’s only when they were private residences or otherwise inaccessible. There was really no excuse for me to not tour this public attraction. Since then, I’ve toured the place a few times, and in the book went deep with the house, the author that made it famous, and the people who run it today. Salem, MA (October 15, 2008): Oh, man, this is so far back in my timeline. At this point, I’d probably visited Salem three times in my life, and only one of those times as a resident of New England. We had just moved to New Hampshire a few months before I posted this article. Interestingly enough, the article is surprisingly spot-on (which will happen when you keep opinions vague and information high-level), and still reflects the core of all my Salem experiences. The big thing that has changed is the end of the post where I get all jerky and conflicted. I’m now not at all conflicted and am the most pro-Salem dude. Still a jerk, though, I guess. Count Orlok’s Nightmare Gallery (April 20, 2009): I believe this was the first time I ever played the OTIS card to get access to a place, and we got a personal after-hours tour with the owner of what has become the attraction I visit the most in Salem. And that’s still true after my immersive book experience, which added to my experiences at the museum since I was able to visit its haunted house and hang out with horror celebrities there. Salem + October = Crazy (October 26, 2010): This was the year of my first OTIS Halloween Season blog, and it kicked off my yearly OTIS check-ins with the city. I had also just published my first book, The New England Grimpendium, and was actually in Salem for an appearance there at a now-defunct bookstore. In the post, you can see the city growing on me since 2008. Same Salem, Different Halloween (October 16, 2011): On this Halloween Season visit, you can see my attitude further shift toward the city. I also wrote, “Even though I’ve written a large book proposal’s worth of text about Salem so far, I still haven’t emptied that cauldron yet of everything I have to say about it.” Three years later, I would actually write that book proposal. Toddler in a Monster Museum (June 16, 2012): Sometimes we visited Salem in the off-season since we had friends there, but this was a random daddy-daughter day with my then-two-year-old that had us back at Count Orlok’s, where I got to see the place through the eyes of a child…a terrified child. Salem vs. Sleepy Hollow (September 26, 2012): I felt the Internet needed this article and, as a regular visitor to both of these great Halloween towns, I guess I was the guy to do it. Now that I’ve lived in Salem, though, I could add to the comparison, “Can write a book about one and not the other.” Probably. Maybe. I don’t know. Salem Before the Storm (October 28, 2012): I visited Salem days before the notorious Frankenstorm (aka, Hurricane Sandy) hit the East Coast and threatened Halloween that year. You could tell everyone was getting their Halloween done early, just in case. Scroll to the bottom of the post to see my favorite Salem photo of all time. Should have made it the cover of my book. Aging Witches: Hocus Pocus Filming Sites (September 30, 2013): Tracking down the Salem sites for this movie turned into one of my most popular articles of all time. And it was a theme throughout my stay, as I revisited sites, saw the movie both at the house I was staying at and on the public common, and saw plenty of Sanderson Sisters costumes. Looking for the Lords of Salem (October 13, 2013): Not much to say for this one, wherein I tracked down the sites from the Rob Zombie movie that both takes place and was filmed in Salem, except that I retraced those steps once more, and this time only had to take a few more steps to reach my bed instead of a long ride home like last time. Salem 2013 (October 21, 2013): As you can tell by the title, I was running out of angles for these annual Salem posts. But I kept doing them, for sure. At the very least as an excuse to post 20 photos. 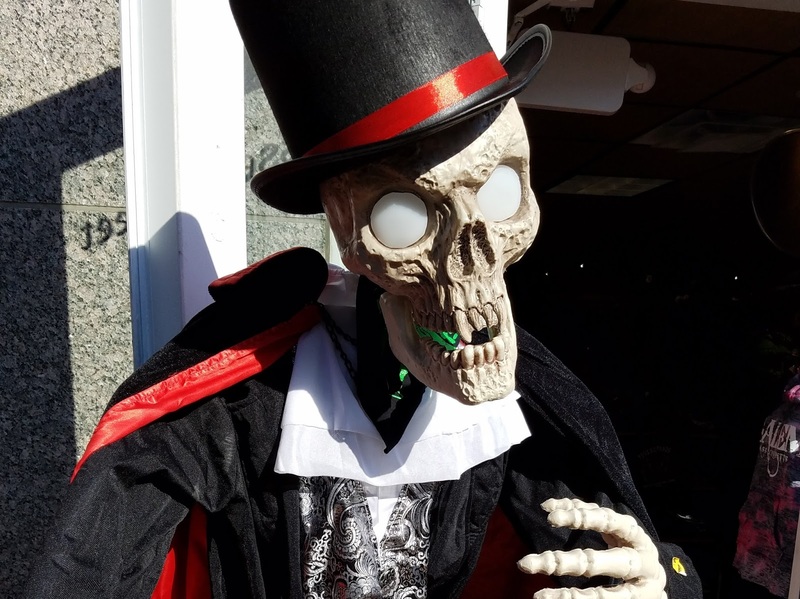 Our Salem Saturday (October 4, 2014): This post is probably my favorite description of Halloween in Salem. Includes the eerily predictive line, “One year, I’m going to move to Salem for the entire month of October. That would be a Halloween Season blog for the ages.” It was meant to be hyperbole, but literally two months later the idea hit me for the book. Also probably my favorite day in Salem until the book project. Those are all my pre-Halloween 2015 posts. While I was living in Salem for October that year, I managed to put out another ten posts (well eight. One of them was from a few months earlier during a scouting visit and another was a summary of my time after we returned home in November).